YunQuNa.com is an online portal that offers logistics trading and services on a global scale with the aim of offering safe and more secure transportation service. Currently, available on Chinese language, YunQuNa has been established to provide logistic specific services such as freight query, quotes, booking, cargo tracking, payment and much more. YunQuNa.com will provide the much required details of freight owners relating to credit standing, pallet ownership and information and more which freight forwarding companies can refer to. Through this portal, a many freight related process will be simplified and interaction amongst the two parties involved will be done online. For keeping track of each and every consignment, owners could utilize the standard tracking service and keep tab on its movement online. As of date, YunQuNa has on board more than 120,000 freight forwarders and owners from China. Recently, it has signed up a strategic deal with fibre2fashion.com, the world’s largest B2B platform for the textile, apparel and fashion industry to provide them logistics services on a global scale. 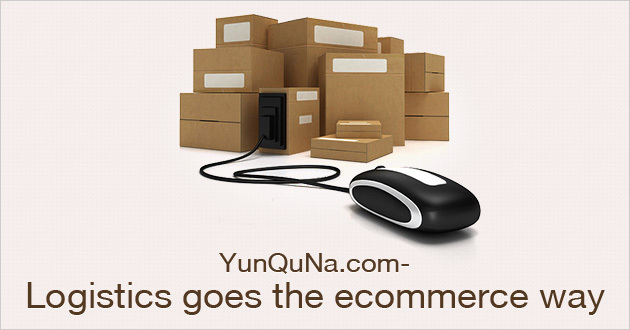 YunQuNa has revealed its intentions of offering import services in the near future. Also in all likelihood, YunQuNa has ambitions to offer storage, custom clearance and air & land transportation services online in the most transparent manner possible.